Lakeside EFW is a major energy from waste plant in Colnbrook, UK. Lakeside EFW operates under strict environmental controls, within the guidelines of the Waste Incineration Directive (WID) and an Environmental Permit administered by The Environment Agency. The facility incinerates 410,000 tonnes of household and municipal waste per year and exports 34 MW of electricity to the National Grid. This process diverts the majority (over 95 %) of waste from landfill. 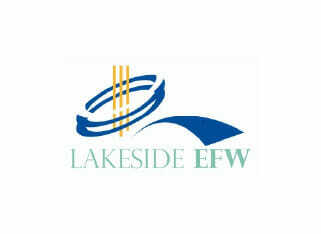 Lakeside Energy For Waste ‘EFW’ plant uses waste fired boilers generating 45bar steam to drive a turbine. When a boiler is drained for its routine maintenance it has to be refilled with demineralised water with a limited flow rate from the make-up water demineralisation plant. This takes about three days – days of lost generation. With Veolia’s Mobile Water Services MOFI 35m3/h mobile plant, Lakeside can get their boiler up and running in less than a day. The increased generation revenue more than covers the hire cost. A Veolia engineer can be deployed, together with the necessary equipment, fittings and documentation within 2 hours of a call, so a MOFI is on standby at short notice in the event of a problem with their demineralisation plant. The MOFI is self contained, and regeneration is carried out at Veolia’s regeneration station in Stoke-on-Trent, so there is no chemical or waste handling on site.